The only 20 gallon portable eyewash station that can also drench the body if purchased with the SE-4920 drench hose. 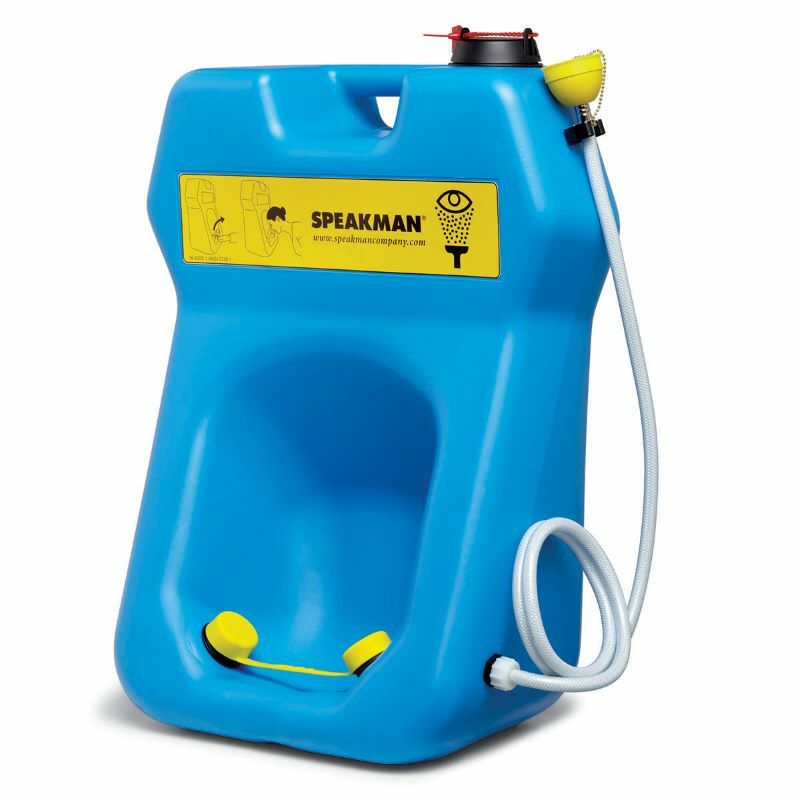 The Speakman SE-4360 includes a rolling cart and bucket to roll the eyewash station to anywhere in a facility where the threat of eye injury needs to be tended to quickly. Attaches easily to the SE-4300 to wash the body in case the body has been exposed to dangerous chemicals. Speakman's SE 4300 self-contained GravityFlo portable eyewash station has a 20 gallon tank capacity which provides a run time longer than the ANSI Z358.1 fifteen (15) minute requirement. It is the only portable eyewash with a built-in port for an optional side fitting SE 4920 drench hose which allows for spot body washing. One simple pull on the strap activates the unit immediately for hands-free operation. There is an integral drain which allows the flushing fluid to be contained in order to avoid slip hazards. It can be shelf or wall-mounted (includes bracket). Includes an integral eyewash sign.